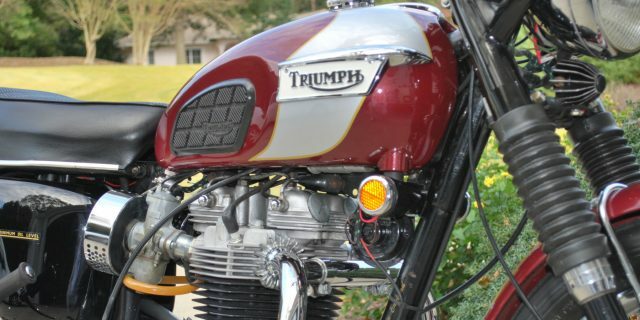 “750 Bonneville”. 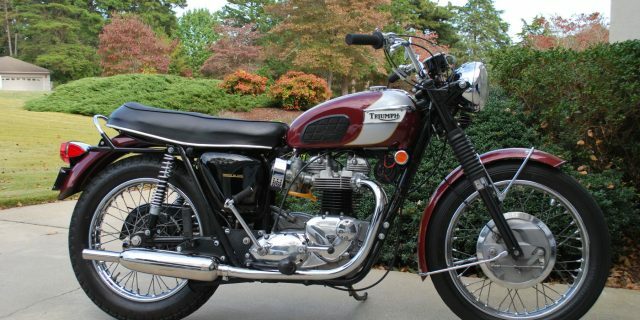 This bike is 1 of 200 made and is documented by the Motorcycle Hall of Fame as authentic and verified by the AMA original records as a true “RT” Bonneville. I have a copy of all the original mailings and bulletins that went to the Triumph dealers concerning this special bike produced in 1970 for Triumph’s Dirt Tack racing effort. This is a great running bike as well as good looking. It has about 1200 miles on it since the engine rebuild.